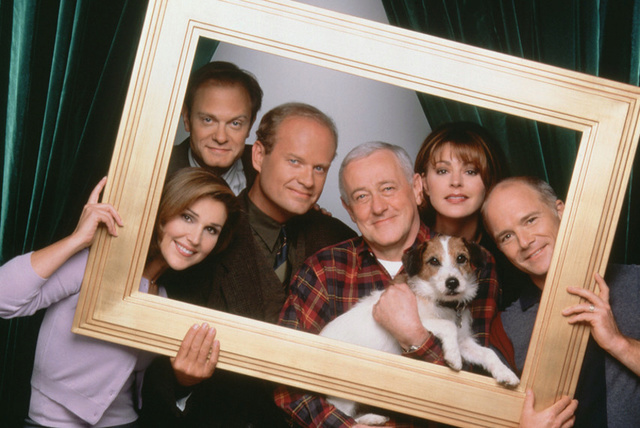 Hi, glad this forum is around, Frasier is my favourite US sitcom, it still makes me laugh out loud even though I know whats coming next! Hello, all . PistolPoet also relocating and happy to see the forum set up so quickly! Thanks again, John! Hi all! I am Patrick from the old forum and for some reason the program didn't like my chosen screen name, so I had to throw in the initial of my surname as well.I am thankful for this new forum but I am wondering why it is lagging so much. It takes a couple of minutes after I hit enter to get the page totally displayed. Am I the only one? It doesn't seem that way on the other forums though. It happened to me too but only the first time round. Now that I saved the link, it is very quick. Can't find my old avatar, will search for a new one on Monday. I couldn't either (I changed computers in the meantime since I registered), so I downloaded the image from the old forum to my computer and uploaded to this one. You should do the same. Welcome one and all! Sorry to hear you have been having trouble with site loading time, but I can assure you that is the problem of our host, Forumotion. Most of the time the page loads quite quickly, but it kinda depends on how many pages are open in your browser. I always have tons of pages open in my browser but usually it doesn't pose any problem. But I guess, I'll have to make do with what I got. Thanks for doing this, anyway, it's very nice. Hello everybody - good to be here. This site feels magical - I wished for a new site and here it is! So thank you John! Hey, no problem. Glad I could help. Hi all! Frasiertime relocating to this site. Thank you John! Subject: Re: Hi! Good to see ya!